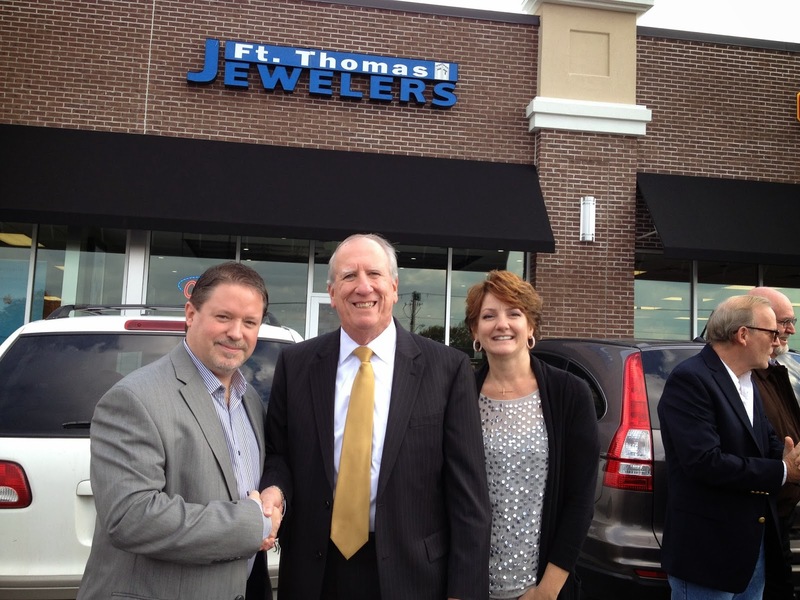 FORT THOMAS MATTERS: Fort Thomas Jewelers Turns 20! Vince and Renai Keairns at their new store opening in 2013. FTM file. Happy Birthday to Fort Thomas Jewelers! FTJ is turning 20 years old this year and they want to celebrate all of their amazing customers by offering them 20% off everything in the store (see store for details). "We want to give back to the wonderful people that have supported us over the past two decades," said Bilinda Benton of Fort Thomas Jewelers. "Thank you from the bottom of our hearts for being so loyal and supportive. Without you guys we wouldn't be possible!" The event will be held Friday and Saturday, July 7 – July. Today they open at 9:30 a.m. and will close July 8 at 4 p.m.
Where are they located and do they do repairs?